John Prendergast describes the process of making our living congruent with our knowing, and leads us through a meditative experience to explore what we know that needs to come to the surface. Gandhi gives his grandson The Gift of Anger Discover ten vital and extraordinary life lessons from one of the most important and influential philosophers and peace activists of the twentieth century—Mahatma Gandhi—in this poignant and timely exploration of the true path from anger to peace, as recounted by Gandhi’s grandson, Arun Gandhi. In the current troubled climate, in our country and in the world, these lessons are needed more than ever before. 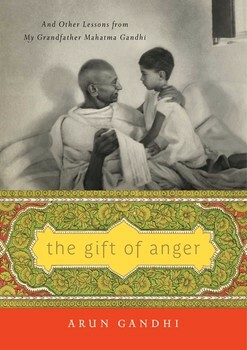 “Anger is like electricity…” In THE GIFT OF ANGER, Arun Gandhi, grandson of the great pacifist Mahatma Gandhi, shares the wisdom he learned from his grandfather. We should not fear anger, but channel it into fighting for justice. Let compassion and fearlessness guide you and you’ll live wisely and effectively in good times and bad. But that’s easier said than done. 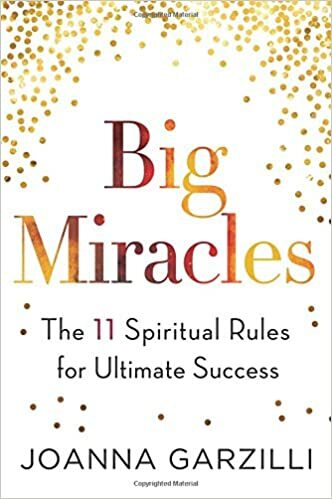 Here Pema Chödrön introduces a powerful, transformative method to nurture these qualities using a practice called lojong, which has been a primary focus of her teachings and personal practice for many years. And for centuries, Tibetan Buddhists have relied on these teachings to awaken the deep goodness that lies within us. The lojong teachings include fifty-nine pithy slogans for daily contemplation, such as “Always maintain only a joyful mind,” “Don’t be swayed by external circumstances,” “Don’t try to be the fastest,” and “Be grateful to everyone.” This book presents each of these slogans and includes Pema’s clear, succinct guidance on how to understand them—and how they can enrich our lives. 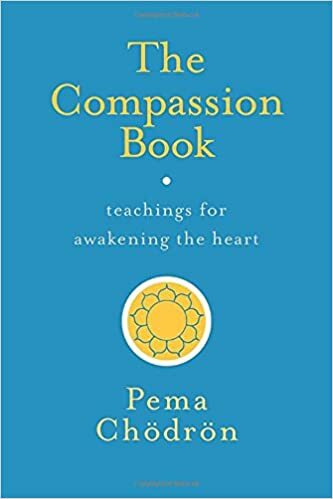 It also features a forty-five minute downloadable audio program entitled “Opening the Heart,” in which Pema offers in-depth instruction on tonglen meditation, a powerful practice that anyone can undertake to awaken compassion for oneself and others. PEMA CHÖDRÖN is an American Buddhist nun in the lineage of renowned Tibetan meditation master Chögyam Trungpa and resident teacher at Gampo Abbey in Nova Scotia, the first Tibetan monastery in North America established for Westerners. 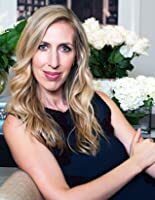 She is the author of many books and audiobooks, including the best-selling When Things Fall Apart and Don’t Bite the Hook. Pema Chödrön is an American, Tibetan Buddhist. She is an ordained nun, acharya and disciple of Chögyam Trungpa Rinpoche. Chodron has written several books and is the director of the Gampo Abbey in Nova Scotia, Canada. At the same time, it is our direct experience that this witnessing presence of Consciousness is undeniably present. It is our most intimate Self. The current situation is changing all the time. Even if the changes are minute, nevertheless from moment to moment we are presented with a different configuration of mind, body and/or world. However, this conscious witnessing Presence, this ‘I,’ never changes. It is always simply present, open, available, aware. Due to the inadvertent and exclusive association of Consciousness with the body and the mind, we tend to think that any change in the body and the mind implies a change in Consciousness. However, if we look closely at our experience, we see clearly that we have never experienced any change in Consciousness itself. If we look back over our lives we see that this conscious Presence has always been exactly as it is now. It has never changed, moved, appeared or disappeared. The very first experience we ever had as a newborn baby was experienced by this witnessing presence of Consciousness. Consciousness was present to witness this first experience, but did we ever experience the appearance of Consciousness? If the appearance of Consciousness was an experience there would have to have been another Consciousness present to witness this appearance. And if the appearance of Consciousness has never been experienced, what validity is there to the claim that Consciousness appears, that it has a beginning, that it was born? Likewise have we ever experienced an end to Consciousness? If we experienced the disappearance of Consciousness, there would have to be another Consciousness present to witness this disappearance. And this ‘new’ Consciousness, which witnessed the disappearance of the ‘old’ Consciousness, would have to be present during and after its disappearance, in order to make the claim legitimately that it witnessed its disappearance. Therefore we cannot claim that we ever have the experience of the disappearance of Consciousness and so what validity is there to our conviction that we, as Consciousness, die? We experience a beginning and an end to all objects, but we never experience a beginning or an end to Consciousness, to our Self. We may think that Consciousness disappears when we fall asleep and reappears on waking, but this is in fact not our experience. It is an uninvestigated belief. However, it is a belief that has taken hold so deeply and become so much a part of the accepted norm, that we actually think that we experience the disappearance of Consciousness when we fall asleep. As we fall asleep we first experience the withdrawal of sense perceptions or, more accurately, the faculties of perceiving and sensing. With the disappearance of perceiving, the world vanishes from our experience and with the disappearance of sensing, the body vanishes from our experience, leaving only thinking and imagining. This is the dream state. The thinking and imagining functions are in turn withdrawn and, as a result, the dream state gives way to deep sleep. In deep sleep Consciousness simply remains as it always is, open and aware, only there are no objects present within it. Consciousness projects the appearance of the mind, body and world by taking the shape of thinking, sensing and perceiving. The process of falling asleep is not one of a separate entity transitioning through states. It is simply the withdrawal of this projection. Due to the fact that we have so closely and exclusively identified Consciousness with the body and the mind, we presume that the absence of the mind and body during the experience of deep sleep implies an absence of Consciousness. However, that is simply the mind’s interpretation of an experience during which it was not present. It is a presumption based on a presumption. It is a presumption that Consciousness is in Reality exclusively identified with the body and the mind, and this in turn gives rise to another presumption that Consciousness disappears when the body and mind disappear on falling asleep and, by implication, when the body dies. This is not our experience in the first case and there is no evidence to suggest that it will be our experience in the second. There is evidence that sentience disappears on death, but not that Consciousness disappears. After a period of deep sleep, the Consciousness that was present there takes the shape of thinking and imagining and, as a result, the dream state reappears. And in turn, after a period of dreaming, Consciousness takes the shape of sensing and perceiving and, as a result, the body and the world are recreated, that is, the waking state reappears. If we look at deep sleep from the point of view of the waking state, it appears to have lasted a certain length of time, in the same way that the objects that appear in the dream and waking states appear to last for a certain length of time. Time is the imagined duration between one appearance and another. There are no appearances during deep sleep and therefore time is not present there. In fact time is not even present in the dreaming and waking states but at least the illusion of time is present in these states. In deep sleep not even the illusion of time is present. Time, in the waking and dreaming states, is an illusion. In deep sleep, it is a presumption. The language of the waking state is based on objects and time, and therefore, when we view dreamless sleep from the point of view of the waking state, we think that it must have lasted for a certain duration, because the mind cannot imagine timelessness. The mind construes that the time it imagines to be real is an actual experience. It imagines that time is present in the absence of mind, in the absence of itself, and therefore imagines that deep sleep has duration. Deep sleep is therefore considered to be a state. However, divested of duration, deep sleep is in fact the timeless presence of Consciousness that is beyond, behind and within all states and, although it gives birth to the appearance of time, it is not itself in time. Our experience is that deep sleep is simply the timeless presence of Consciousness that does not appear or disappear. Does that which is present during deep sleep or rather, that which is present as deep sleep, disappear when the dreaming world appears? No! The dreaming world simply emerges within deep sleep, that is, within this timeless Consciousness. Does that which is present as deep sleep disappear when the world of the waking state appears? No! The waking world simply emerges within deep sleep, within this timeless Consciousness. The transition from deep sleep to dreaming to waking is seamless. In fact it is not a transition at all. It is presumed to be a transition only from the point of view of the waking state where a separate entity seems to transition from one state to another. However, from the point of view of Consciousness there is no transition, there is simply a flow of changing appearances, and sometimes no appearances at all, in its own ever-present Reality. That which is deep sleep, timeless Presence, does not disappear in order for the dreaming and waking worlds to appear. It simply remains as it always is and, at the same time, takes the shape of the dreaming and waking worlds. At no point in this process does a separate entity fall asleep or transition from one state to another. Nobody falls asleep and nobody wakes up. When viewed from the perspective of the waking state, deep sleep is a state. When viewed from its own perspective, it is timeless Presence. If you think enlightenment is all about losing touch with the world, think again! In this video, Steve Taylor – the author of The Leap – explodes the five biggest myths about spiritual awakening. The responsibility of calling yourself a disciple is enormous and not to be taken lightly. The dissolution of self identity is an often difficult road. An excerpt from silent retreat with Aisha Salem in Italy, August 2016. Aisha is a Woman of Truth who shares on Awakening, Self-realisation & Embodiment. Why do people want to become enlightened? According to spiritual teacher Adyashanti the spiritual impulse inside every human is because of Life’s longing to become fully conscious of itself. Life pushes us and it will do whatever it needs to in order to accomplish this goal: to become fully conscious of itself. One of the most surprising survivors in our society, long counted out as either moribund or dead, is philosohy “love of truth,” as the Greek term describes, was defeated by science and its love of facts. So it was unexpected when the New York Times ran an op-ed piece titled “If We Are Not Just Animals, What Are We?” (March 6, 2017) by the veteran English philosopher Roger Scruton. The piece begins by nodding toward the tradition of endowing human beings with a soul, a supernatural spark that sets us apart from the animals, and quite realistically Scruton notes that “Recent advances in genetics, neuroscience, and evolutionary psychology have all but killed off that idea.” Although a popular belief in the soul is very much alive, our official secular culture and its primary source of knowledge, science, totally dismisses it. What then? Scruton uses a split-the-difference tactic, arguing that although we are undeniably animals who evolved from primitive ancestors, we aren’t just animals. We are special creatures, beginning with our sense of morality. Modern philosophy, therefore, continues to ask the same questions about human specialness as ancient philosophy, searching for the true secret of being human. Scruton looks first to morality as a truth about being human, which most people would sympathize with. “We believe that people have rights, that they are sovereign over their lives, and that those who live by enslaving or abusing others,” he writes, “are denying their own humanity.” But this appeal seems doomed, I think, because in a secular society truth and facts are the same, and for every nice thing that makes humans special, there are savage behaviors that place us far below the animal kingdom. Genocide, whether we like it or not, is just as human as compassion. Scruton has more to say, but I think there’s an essential point he misses. Placing science up against philosophy doesn’t hold water, because science is itself a philosophy. 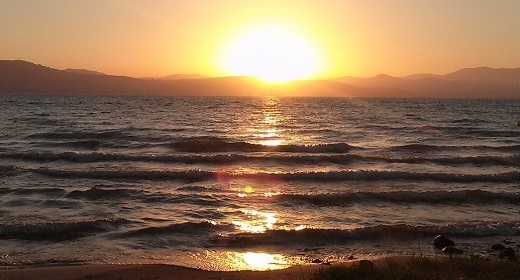 The noted senior physicist George Ellis has pointed out quite sharply that when scientists disdain metaphysics, as the vast majority do, they are ignorant of the fact that their view of Nature is also metaphysical. To say that we live in a random universe, for example, is just as metaphysical as saying that the universe was made by God. Arguing than human begins are a mere speck in the cosmos, accidents of evolution that probably got repeated on hundreds or thousands of planets in other galaxies, declares a truth about humanness that is philosophical in its ramifications. So splitting the difference with science isn’t going to breathe new life into philosophy. Scruton winds up with a fuzzy declaration that is unscientific but also inadequate philosophy: “…as persons we inhabit a life-world that is not reducible to the world of nature.” There’s nothing helpful in this, because things we cherish in our “life-world,” like love and compassion, are still going to be reduced to scientific explanations that for better or worse will rule the argument for a long time, just as they rule the argument now. If science is actually a philosophy, the critical question is this: which philosophy is the best one to live by? The current crisis in physics doesn’t feature the word philosophy, but the predicaments are absolutely philosophical. Let me sketch in just one critical problem, which might be called the fudge factor. Fudging can imply dishonesty or taking shortcuts, but not in this case. Rather, certain numbers and explanations serve as placeholders while science awaits a new model—or even a new perspective on reality—to fill in the gaps. With the “discovery” of so-called dark matter and dark energy, physics has tried to fill in an enormous gap between theory and reality. Certain phenomena like the speed at which galaxies are rushing away from one another, cannot be explained away with new data. To fill in an enormous discrepancy, particularly in the cosmological constant, one of the most fundamental mathematical calculations in physics, dark matter and energy came along quite conveniently. Neither has ever been observed or directly measured. 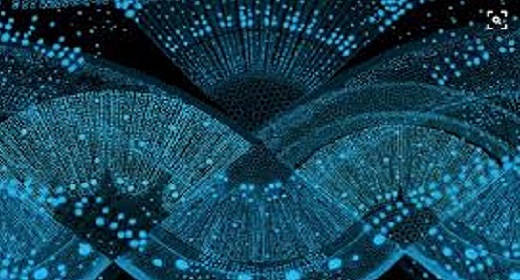 There is a strong feeling that their structure may be totally alien to the accepted structure of time, space, matter, and energy in the visible (non-dark) universe. Since fudging the numbers requires such a huge adjustment, it was necessary to rebalance creation so that 96% of it is dark, while the visible universe, including all the matter contained in stars, planets, galaxies, and interstellar dust, amount to only 4% of the total. This means that reality is largely unknown, for even though it’s accepted in many circles that a special particle known as a WIMP (Weakly Interacting Massive Particle) may forge a link with the known universe, no one has ever detected such a particle. Like the multiverse and superstring theory, dark matter and energy may be unknowable. All of these structures are totally mathematical, existing as creations of human consciousness. They provide no data or measurements. Therefore, if you are a radical skeptic, the whole superstructure of modern physics may be just a huge fudge factor. Even if you aren’t willing to take that spectacular leap, even everyday subatomic particles like electrons are not objective, free-standing things like a loaf of bread or a tree. Being dual in nature, electrons exhibit “thingness” when they are observed but exist the rest of the time as waves of potentiality with no fixed qualities of any kind. This is a bedrock fact of quantum physics going back to its early days over a century ago. To stitch together a marriage of convenience between the everyday world of big objects and the quantum world of very tiny ones (which are dubiously called objects in the first place), it was necessary to erect a wall separating the two domains. This détente isn’t scientifically convincing, but at least it was reassuring. Quantum events could continue to be “spooky action at a distance” while the everyday world chugged along normally. Only now it appears that the everyday world of big objects is probably quantum in nature, too. Big objects move so slowly, however, that we are fooled by their appearance of solidity. In reality, nothing is fixed, solid, firmly in place, or unchanging. Every piece of creation is caught up in the same process of flow, unpredictability, and spookiness. Without going into details, let’s admit that the fudge factor, which attests to a huge mismatch between theory and reality, upends science’s claim to hard-headed facts. Science is a collection of concepts created in the human mind, just like philosophy. Electrons exist because in our species of consciousness, we gave them a name attached to a concept, and one of the concepts was to call electrons objects or things. In another mode of knowing—perhaps possessed by “dark” thinkers in a domain we can’t conceive of-electrons are totally different, if they exist at all. All of these ideas are explored in great detail in a new book , You Are the Universe I co-wrote with physicist Menas Kafatos. Over the past century philosophy has capitulated to science, and all of us, whether we realize it or not, live according to the philosophy that science espouses. Because of science’s triumphant discovery of new technologies, we assume that its philosophy must be right. This is like a medieval person who happened to see an airplane fly overhead then rushes to tell his priest that God is real. Technology isn’t the doorkeeper of truth. There is really only one viable way forward. A livable philosophy must be based on a foundation in reality, and for that purpose, the only way we know anything is through consciousness. Reality is an activity in consciousness, whether it’s a matter of falling in love or creating the concept of an electron. Until everyone begins to explore a consciousness-based approach to reality, the pursuit of science and philosophy will both be hobbled. In this talk, Amoda Maa invites you to consider that the darkness we encounter in our personal lives and in the world is an volutionary driver for awakening out of the dream of separation. Very often, awakening or enlightenment is imagined to be a spontaneous transcendent state that leads to eternal bliss and peace. But what is often missed is, that if awakening is to be more than a temporary state, we are called to meet every vestige of inner darkness and that this is an ongoing journey that can happen either before or after awakening. It’s an invitation to open to all previously unmet contractive energies based on an erroneous perception of separation. Inner darkness is where we hold on to inner division; it’s a blind spot with incredible power: the power to create suffering in ourselves and in the world. Amoda invites you to meet this suffering consciously, and then to choose to open wider than this suffering. Conscious suffering is the decision to walk with resolute presence and unadulterated openness through every inner and outer landscape through Heaven and Hell and to recognize what is true beneath and beyond all appearances.